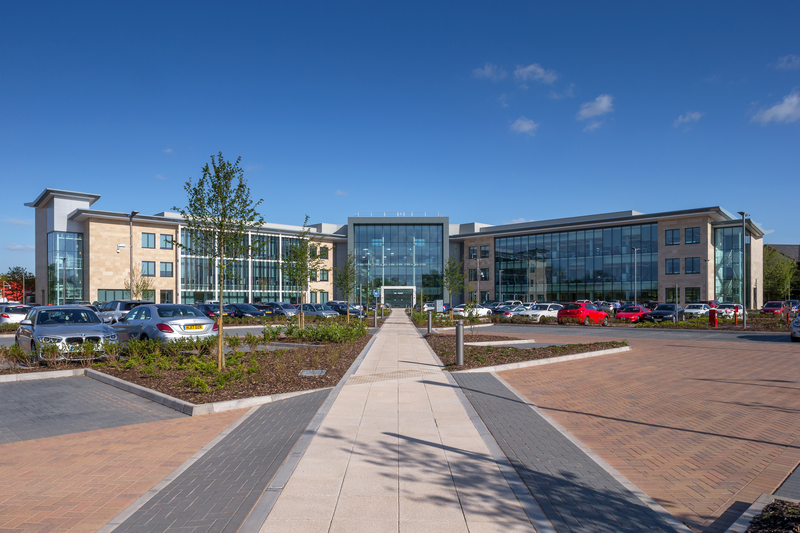 Forming part of TATA Technologies’ commitment to the UK as part of its continuing growth strategy, a new headquarters for the company has been constructed in Leamington Spa, Warwickshire. The new building is 63,000 sq ft in size and will house around 600 staff. The base will house TATA Technologies’ engineering support services as well as a research and development centre aimed at further developing the company’s capabilities and growth opportunities, especially in the automotive, aerospace and industrial machinery sectors. The TATA Group owns Jaguar Land Rover. BAM Construction was appointed the main contractor for this project and then, soon after, turned to PMJ Masonry to undertake all of the natural stonework. All 1,700 square metres of 40mm German Jura Limestone was fixed to the external elevation using traditional handset cladding methods. This project showcases the true beauty of Limestone and its extensive potential. A stunning project that will be internationally recognised. All photo’s of the TATA Headquarters at Leamington Spa were taken by Peter at Lightworks Photography.